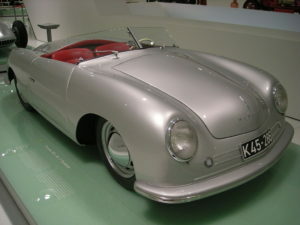 The first Porsche classic model was made in 1948 and was called the Porsche 356. It came in as a 2-door coupe and 2-door convertible. It had a four-cylinder horizontally opposed engine with 40 bhp of power reaching top speed of around 140 km/h. The model has been in production for over 17 years and in 1965 the company moved to a new prototype – Porsche 901. Porsche 901 was delivered to the market after almost 10 years of development. Porsche was accused of taking the naming rights of another car producer – Peugeot, for using 3 digits number with 0 in the middle. For this, Porsche changed the name of their Porsche 901 prototypes to Porsche 911. This affected many other Porsche models with similar names – Porsche 904, 906, etc. However, the number 1 had its unique magnetism and Porsche decided to stick to it. Thus, the 0 in the middle was substituted with 1. 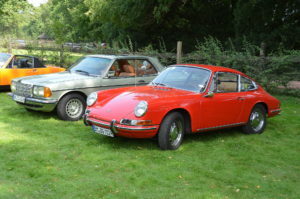 Porsche 901 was firstly created as a four-seated model. However, as a continuation of the of the Porsche 356 it had to have a rear engine located at the back which defined this model as two-seated. Thus, a six-cylinder Boxer engine was used for the Porsche 901l. The car was so remarkable that Mr. Ferry Porsche presented it as the unmistakable character of the Porsc he sports car. Porsche 911 continues its development till present. Porsche 912 was also remarkable for its top speed – 185 km/h. However since 1969 the prototype is no longer produced. The company moved to another model. 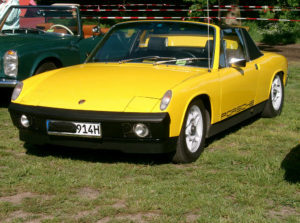 In the same year, Porsche launched Porsche 914. Long before it came out, the Porsche 914 was already popular as a wonderful sport car at an affordable price – around 12,000 DM. The design of the car was reported by many drivers to be a real tease – elegant and sporty. The body-work of the model was done by the company Karmann. This model came with four different engine options, long wheelbase and Tagra or Coupe body. With its great advantages Porsche 914 quickly became the current best selling model. Visit World Class Automobiles in South River ,NJ for a wide selection if classic cars for sales in New Jersey.